Haze 2013: What’s Happening Behind The Scenes in Singapore? The haze came at the right time, right after Vivian’s badly-mangled politicking with the Worker’s Party over the cleaning of the hawker centers, as well as with the Aim saga. If the haze drags out long enough, this would be just the thing needed that the PAP hopes could wash clean their slate and allow them to start anew, to launch towards the next general election. But what the PAP didn’t count on were the people’s reactions. It might have been easy to say that the haze was an act of nature and that the government was helpless towards it. If the government could play the victim, say that Indonesia didn’t want to play ball and that they simply had no choice, they might be able to get away with it. If this strategy had worked, they would be able to gain the sympathy of the people and hopefully, the trust of the people, and they could walk towards the next general election more confidently. But the people were not going to have none of it! The people had a lot more to pick with the PAP – their stagnant incomes, income inequality, increasing prices and their lowering purchasing power. All in, the people’s anger was only further exacerbated by the haze. The seeming slowness to react served to reinforced among the people that the PAP is incapable. And thus the PAP is now caught in their own making and they are now caught with their pants down. Having to now need to develop an actual plan to tackle the haze, in view of the people’s anger, they didn’t seem to be able to perform. And so it was only after several press conferences before they could get their act together. Yet, in the most seemingly unimportant episode as the haze, the real capability of the PAP shown through. The PAP didn’t see it coming. They didn’t know what hit them. And because they couldn’t show their cards, they played into the people’s hands. The haze might now actually work in the people’s favour, and finally give them the upper hand that they had needed all along to break free from the control of the PAP after all these years. In this time of the seeming lack of leadership of the PAP, the people took among themselves and rallied among themselves to help one another, and to advocate for one another’s rights. From a government which was supposed to have foresight and the best people to serve the country and ones paid millions, the politicians seemed to be scurrying around trying to look like they are the better man. Stop it already, Singaporeans said. While we were waiting for you to get back into the game, we decided to get in ourselves. And you know what, we didn’t realise that we could do quite a good job as well! We didn’t realise that, you know what, we might actually have a decent chance at running the country by ourselves and, without you around. What would PAP do next? It would now be in their best interest to get rid of the haze as soon as possible. The haze had turned around and bite them in the bum instead and couldn’t give them the political clout and leverage that another government would have. Instead, it was empowering the people. For Singaporeans, it is a win situation for us. After the haze, we would come together stronger. 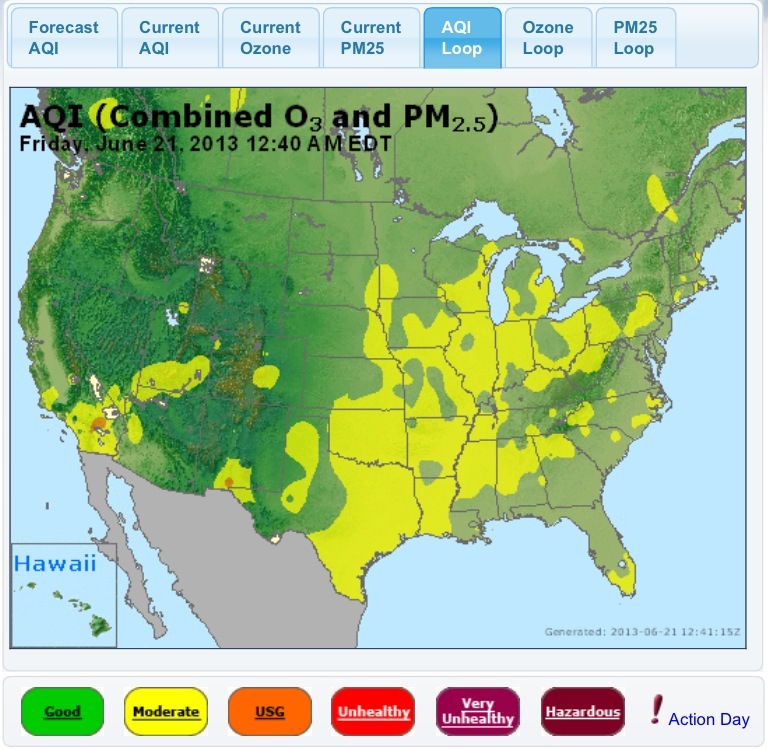 And yet, when the government cleans up its act, we would have cleaner air. Ironically, the haze episode has also drawn together people who used to be on two sides – those pro-PAP and those seemingly not pro-PAP. For the first time, the immensity of the haze and the shocking inaction of the PAP had disillusioned even the PAP supporters who deem such behaviour wanton and unbecoming. Unfortunately, for a PAP which has learnt to spend time “fixing” others, they have forgotten that if they simply do their job and make the people’s lives right, all will be well. Unfortunately still, they believe that the only “right” that the people should do is to “read the right thing”. Whether they will wake up to their senses is completely up to them. But the haze has cleared the people of their fears and their doubts. The people will now go ahead even more strongly and united. And if the PAP doesn’t come on board, it can get ready to be dislodged, hopefully, gracefully. 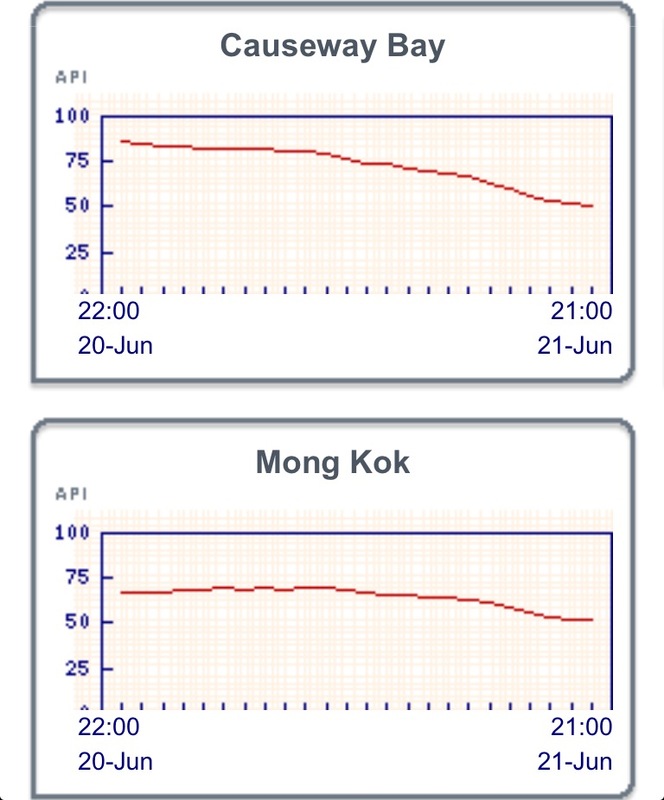 Vivian & Eng Hen: Other Countries Publish 24-Hourly PSI Readings. Sure Or Not? Did you hear what Vivian just said? We are probably the only country that’s publishing 3-hourly rolling average PSI. If you look at PSIs in almost any other jurisdictions, it will be on a 24-hour average and the updating is not going to be at an hourly interval and published almost instantly as what we have now. Does Vivian think that we are idiots? You want to know what the truth is? Just take a look at the images below and you will SEE for yourself what the truth is. This is America/Canada – click on the link to see the real-time loop. Do any of these look like 24-hour averages to you? Do they not get published instantly? What is Vivian talking about when he said that Singapore is “in almost any other jurisdictions, (the PSI reading) will be on a 24-hour average”? Ok, so even if it’s a technicality and we should look at the PSI – which other country uses the PSI? Singapore and? What “other jurisdictions” is Vivian talking about? Timbuktu? Even when just compared to Taiwan, what Vivian had said is a fallacy! 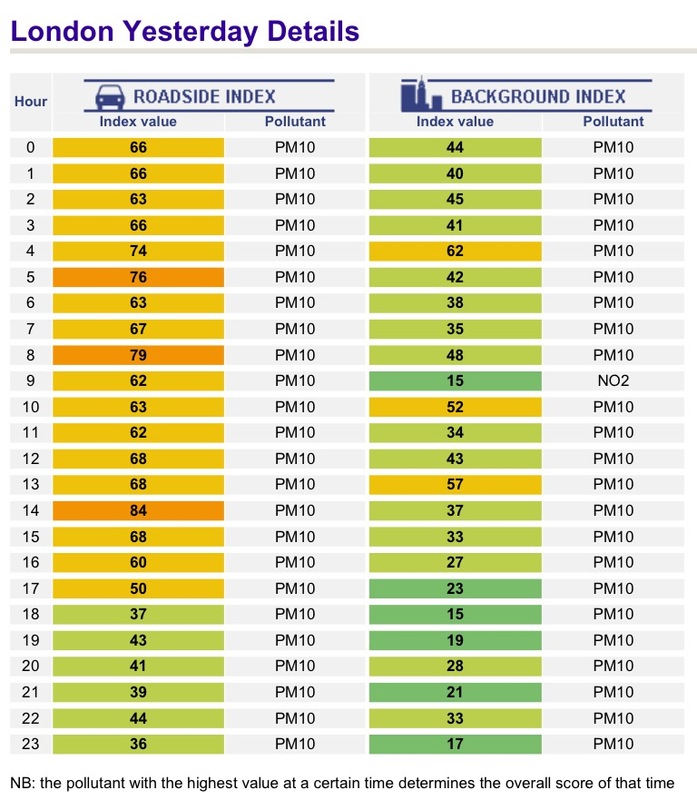 And if you look at air quality indexes as a whole, you can see that many of the countries provide hourly readings which are published at “hourly interval(s) and published almost instantly”. Vivian, who are you trying to smoke? You think that with the haze, you can really haze our brains, is it? Is that it? Just last night, Acting Manpower Minister Tan Chuan-Jin also chimed in and said on his Facebook page that, ” We understand that the 3-hourly PSI readings can spike and cause much anxiety, but they fluctuate greatly during the day. It is the total exposure that the 24-hr readings provide that will matter most.” FYI, readings are supposed to spike! – this is much better an indication for the people as to what they should do, rather than a 24-hour reading which doesn’t give them clear instructions. Hello??? Is Vivian, Eng Hen and Chuan-Jin trying to pull a fast one? What other “jurisdictions”? What other “studies”? The indexes I have shown clearly publish hourly readings! If I use the same logic and apply it to the weather – now in some countries, the temperature fluctuates severely throughout just one day – if I should be looking at the 24-hour temperature, I should be wearing a thick sweater for the whole day even if the weather becomes sweltering hot at some parts of the day or I should be wearing only singlets and shorts for the whole day even if it becomes freezing cold at night? Is that it? That’s rubbish. Obviously, the weather doesn’t operate on human timelines – the weather fluctuates according to, well, mother nature! I hardly imagine the weather, or the haze for that matter, fluctuates based on our clock! It’s completely erroneous to expect us to monitor the haze on an 24-hour average basis! The basic idea should be that we should wear our masks when we go outdoors, and when the haze hits a high level – on as immediate a basis as we can notice! It simply doesn’t make logical sense to decide whether to put on a mask based on the 24-hourly average. By now, many of us would understand why Vivian and Eng Hen had made such illogical statements. In the past where there was only the state-controlled media controlling what is reported, Singaporeans would have blindly bought into what these highly-paid ministers had said. But not now – not when we have the Internet to help us locate the real answers. Mr Harinderpal S Grewal did up some amazing comparison charts between the hourly and 3-hourly average PSI readings. If you look at the chart directly below, the government had initially published 3-hourly average readings because initially (between 6am to 12pm), the 3-hourly average readings (red line) were lower than the hourly readings (blue line) and it could help give the illusion that the PSI reading is actually lower than it really is. However, as Thursday went by, the hourly readings began to fluctuate – it fluctuated to a point where the hourly readings dipped to such lows (8pm and 11pm), where the government was even thinking about whether to focus on reporting on hourly readings, because they would have looked “nicer”. 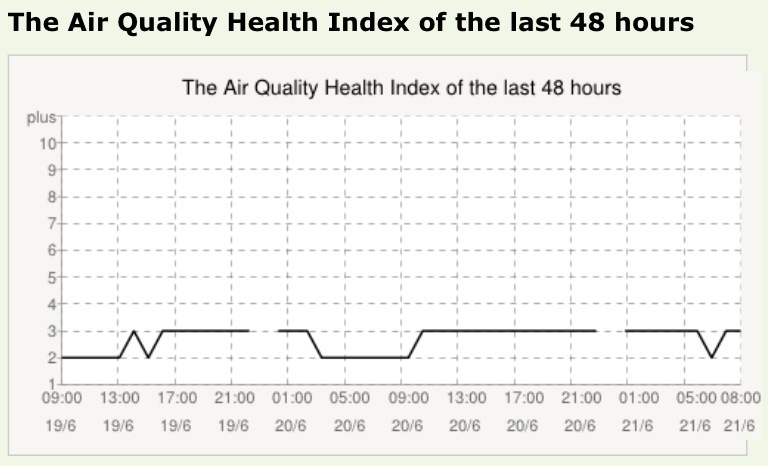 But on Friday (in the chart directly below), as the both the hourly and 3-hourly average readings grew to hazardously levels, the government wanted to find other ways to present the PSI readings to depress the readings further – what else but a 24-hour average, which they hope would flatten the PSI curve. Why they could so seriously underestimate Singaporeans’ intelligence, I don’t understand how. The haze might have gotten into their heads but it has only opened our eyes further to the government’s blasé attitude in managing the haze. Seriously, who is Vivian and Eng Hen trying to kid? The 60% who voted for them – or would it be the 50%, which would have become by now. Who should we believe? Who can we believe? Can we believe the government when what it says is utter nonsense? This reminds me of when the Chinese government didn’t want to report on the actual SARS cases in 2003 and caused the SARS epidemic to eventually blow out of proportion, because of their lack of honesty. But again, these were erroneous arguments presented by Yaacob. The truth was clearly illustrated by Kirsten Han who said that, “The MDA’s licensing scheme shows that nothing was learnt from the UK’s example. It has completely missed the point of the Leveson Report, which specifically stated that the government should have no power over what is published in the media;” and Choo Zheng Xi, who said that, “The New Zealand Law Commission consulted widely and solicited views and opinions from members of industry, the legal fraternity, bloggers, commercial news agencies, and the public at large before formulating their recommendations,” whereas there was no public consultation done on the MDA’s Licensing Framework. Do you remember how Yaacob had wanted us to “read the right thing”? Would you have known all these if you had read what they wanted you to read – what they had put out in their own newspapers and TV channels? You wouldn’t have known what hit you! I don’t trust what this government wants to say anymore – I will read everything with a very discerning eye, and I suggest that you do the same, as many have done so. The haze episode has revealed many Singaporeans who have taken things into their own hands to find out the truths about the haze on their own. If the haze episode has shown anything, it is that we cannot allow the government to control our Internet. This is the only source of information that we have left where we can investigate on matters on our own and put the truth out. If we had allowed our Internet to be controlled by the government, that’s it, Singaporeans. We would be cheated, lied and told half-truths and we would be made to believe “the right thing”. This is very, very dangerous. We need to protect the freedom of our Internet and we need to protect our right to read, know and make informed decisions. And if we need to take away anything from this haze episode, it’s to remember that the people are a lot stronger than the government. Our people – Singaporeans – have shown that we are better able to come together and help one another, while we have to wait for the government to do anything at all to manage the situation. This government has shown a lack of leadership and strength in this episode, and this shouldn’t even be considered a major crisis! If they are not even able to show the ability to manage the haze, then I shudder to imagine how they would be able to effectively manage other major crises. Remember these names: Vivian, Eng Hen and Yaccob. Some commenters have questioned the methodology behind the hourly statistics brought up in the comparison readings of the other countries highlighted in this article and claim that they these readings are actually 24-hourly averages. My search on the websites shown in this article say otherwise. I wasn”t able to locate information on the index calculation. From the information sources that I had located, the index readings are obtained from hourly real-time raw data. There is a claim on the page – https://thehearttruths.com/2013/06/22/vivian-eng-hen-other-countries-publish-24-hourly-psi-readings-sure-or-not/ – that Minister Vivian Balakrishnan’s statement, that other countries also use 24-hour averages for their air quality indices, is false. I will leave it to discerning readers to make their own conclusions. At this point, my concern is that the government should act swiftly to mitigate the effects of the haze. Statements which are contrary to the management of our health should be refrained from, and immediate actions taken to alleviate the impact of the haze. This, I believe, would be more effective than tweaking or re-presenting the PSI readings, which at the height of the haze, will only cause unnecessary worry and due concern among the people. At this time of uncertainty, consistency in representing is important. The government needs to act on their leadership. This is how Prime Minister Lee Hsien Loong should have addressed Singaporeans on the issue of haze. I know your concerns and the government is equally concerned as well – the haze has gone beyond PSI 300 and we are taking immediate steps to resolve the matter. I’ve just gotten over the phone with Indonesian President Susilo Bambang Yudhoyono this morning, and has sought his assistance and cooperation in tackling the haze with us. President Yudhoyono has also signalled that his government is equally concerned about the health of their citizens affected by the haze. We will be sending down some of our jets and helicopters to help put out the fires in Sumatra. Defence Minister Ng Eng Hen is coordinating the logistics and we will update you on the plans later today. I’ve also discussed with the Malaysian Prime Minister Najib Razak and this will be a joint operation, with the Indonesian government, to put out the fires. A separate team, headed by Senior Minister of State for Defence Chan Chun Sing is working with our scientists to devise ways for cloud seeding. We hope that these interventions will be able to clear our skies soon. Law and Home Affairs Minister Shanmugam is also working with his Indonesian counterpart to identify the companies which are involved in the current haze occurrence. We will be engaging with these companies to seek their cooperation and immediate response in assisting to put out the fires. Minister Shanmugam is exploring the options available to find the best recourse forward with these companies. We do not rule out legal action, but for now, we hope to engage in negotiations. As the PSI has gone over 300, I’ve issued a 3-day stop work ruling for all outdoor worksites. The workers should still be remunerated fairly. Acting Manpower Minister Tan Chuan-Jin is in discussions with employers on the compensation. Education Minister Heng Swee Keat and Health Minister Gan Lim Yong are also monitoring the situation very closely. As of now, we have advised all schools to stop outdoor activities. Our hospitals have also set aside more beds and are bringing in more stocks to manage the possible increase in the number of people who might seek treatment for related illnesses. Minister Gan is also working to purchase another 30 million N95 masks into Singapore, to ensure that there are enough masks for Singaporeans. I understand that some Singaporeans have started rallying one another to distribute the masks to our elderly. I applaud our citizens for being proactive. The government will work with these groups to ensure that the masks reach the groups that need it the most. I understand your concerns. We would like to also seek your understanding in this matter. The number of hotspots in Sumatra was unanticipated, and we are doing our best to resolve the matter with the Indonesian and Malaysian governments. Please continue to take care of your health. We have also released a list of steps that you can take to protect your health. The haze is the worst that we’ve seen in Singapore so far. After this episode, we will develop long term haze management protocols and we hope to work with the Indonesian government to devise environmentally-farming practices, for the betterment of the region. I would like to thank you for your understanding and patience in this matter. Together, we will be able to manage the haze successfully. Right now is not the time for the government to start being paranoid that Singaporeans are using the haze episode to attack them. Right now is not the time for the government or our civil service to accuse Singaporeans of not trusting them. The people are nevertheless worried about the haze conditions in Singapore and without consistent information, they would be in disarray. Right now is the time for the government to assure Singaporeans – not to counter-argue with the people. Right now is the time for the government and for the Prime Minister to show leadership. Now is not the time to release carefully-crafted statements. The people aren’t looking forward to the government to make themselves look good. The people want leadership. The people want the government to act and to lead. Not to wonder how their reputation will be affected. Like, c’mon. And if the government doesn’t act decisively and boldly during this episode, I can only assume that something more sinister is in the making. The haze has exposed the workings behind the current government. In a time of such urgency and scale, the government has reacted at a less than vigourous pace. Well-crafted statements and updates only belie the lack of urgency that the government has in tackling the matter. Perhaps it is indeed that the haze does not have the severity of a natural disaster of another sort, and perhaps indeed, the government does not want to rouse fears or panic. But the government might have lost step with the people and have not moved in tandem, for the people believe the importance of the issue is much higher than the government is perceiving. Yet, would we want a government which reacts over-anxiously and rouse the feathers of the people? But the people might be believing that the problem is, the government might not even be reacting enough. Why are workers still working in the open, they ask. Can the Prime Minister and our ministers not have the leadership to take immediate and necessary steps to resolve the issue? Must it wait for a task force? If a task force is necessary, what does it say about the leadership of our country, or lack thereof? What does it say about the capability of our Prime Minister or ministers who do not have the independent reasoning to take immediate required steps? Perhaps our government has bred itself as a group of people too scared to take the drastic steps necessary, perhaps our government has boxed itself up in their too-scared-to-fail-and-lose-face mentality. Perhaps the want to stay on power and to look good has taken a toil on the effectiveness of our country’s governance. In our country, because our politicians no longer have the will and independence of mind, and because they have bought into thinking like one another far too often, our government is now like the lady in the shoe – too scared to move, too scared to lose. Now is not a time to follow what has been laid out in their PR plan. Now is the time to lead.